This document provides a summary of Netlytic’s purpose and features. Each section provides related resources and links. 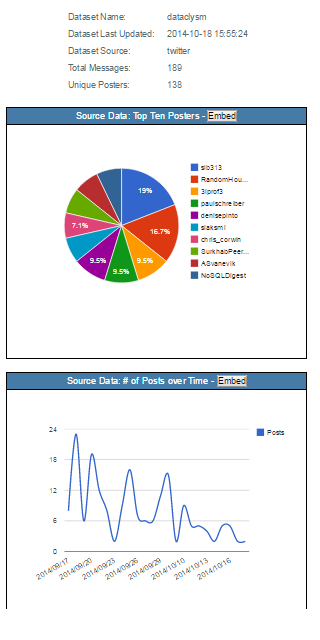 Netlytic is a cloud-based text analyzer and social networks visualizer. Netlytic can automatically summarize large volumes of text and discover and visualize social networks from conversations on social media sites such as Twitter, Youtube, blog comments, online forums and chats. It is designed to help researchers and others to understand an online group’s operation, identify key and influential constituents, and discover how information and other resources flow in a network. automatically build and visualize two different types communication networks: a chain network based on who-replies-to-whom and a personal name network based on who-mentioned-whom. These networks can then be used to discover and explore emerging social connections between actors within online groups. Netlytic is ideally suited for analysing online interactions within large online groups and communities such as Twitter, fan/discussion forums, YouTube comments,customer review forums, online classes, health support groups, etc… Specifically, Netlytic can be used to automatically discover what people within an online community are talking about, who is talking to whom, how often they are communicating, the nature of their relationships or interactions (are community members happy, friendly and supportive; or are they angry, hostile and disrespectful to each other) and how strong their relationships are relative to each other. Once discovered, social network information can be used in a myriad of ways such as detecting the presence of an online community, measuring the strength of that community, identifying prominent actors (influential members) and peripheral participants (people who are susceptible to being influenced), identifying and analysing members’ perceptions of products and services, finding popular resources, and sharing information within a network of trust. Whether you are interested in using Netlytic to exploring social network analysis, for a class project, or examining discussions related to current events, you can begin with just a few easy steps. You can sign into the system with OpenID using your existing Gmail or Yahoo! email account (Netlytic will not see your Gmail or Yahoo! password) or alternatively, you can register with another email address. If you have questions about our tiers or aren’t sure which one to use, check out our Tier Information FAQ section for more details. Once you’re logged in, the first step is to create or import a dataset. You can do this by importing an existing dataset or create a new dataset. Below we’ve listed some tips and things to keep in mind when importing from various sources. Netlytic also offers video tutorials and instruction guides for importing. Twitter requires to link your Twitter account to use this importer. 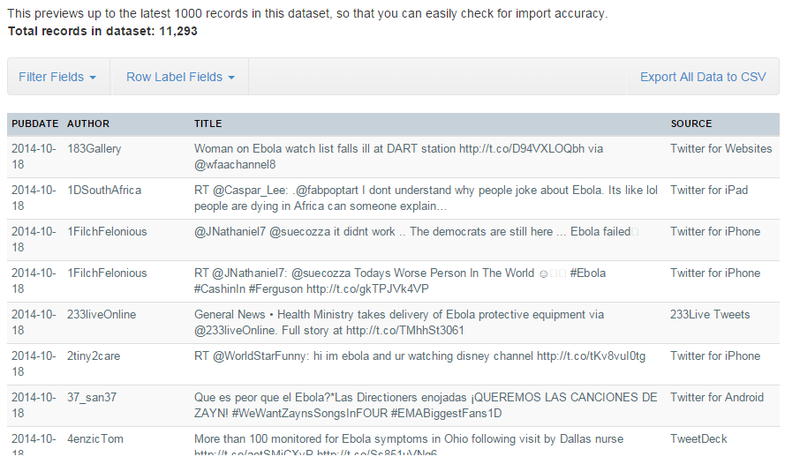 This importer uses the Twitter REST API v1.1 search/tweets endpoint. 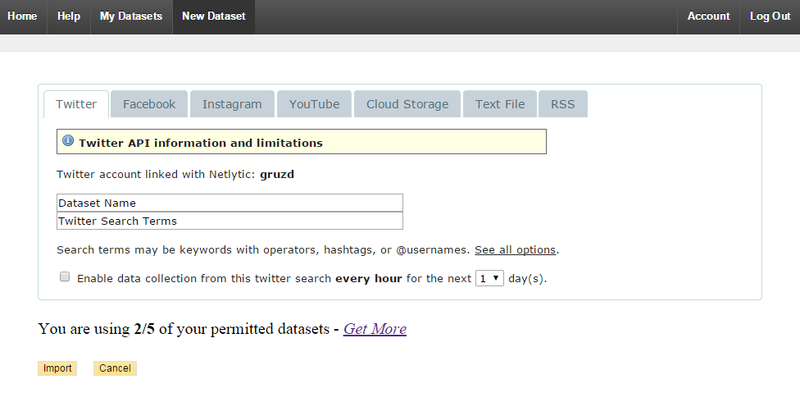 Check out our Netlytic Tutorial page for resources on how to import data from Twitter. Facebook requires to link your Facebook account to use this importer. This returns posts and replies from public Facebook pages. Replies to replies are only not included. Instagram API has been closed on December 11, 2018. You can use Netlytic to analyze the comments found on youtube video pages. Analysis of the video content is not available. Youtube does not require to link your Youtube account to use this importer. This option allows to import records using Really Simple Syndication (RSS) feeds. This option allows you to import messages from a text or CSV file by uploading files to Netlytic. If your dataset includes more than one text file, you will need to upload and import one file at the time..
2) Full-text transcript with the headers: From: test@gmail.com Date: Sun, 1 Apr 2007 14:10:17 -0400 Subject: Origin of the term "Internet" ? In-Reply-To: c8fc@mail.gmail.com Message-ID: ffff8260@mx.google.com I would prefer to not have to do it, but each time I try to submit a course paper without it capitalized, I get the paper back marked up by the professors, telling me it is capital I- internet. Check out our Netlytic Tutorial page for resources on how to import data from text files and cloud storage. In Netlytic, you can start a recurring collector, so that the system will check for new Twitter or Facebook posts or RSS Feeds updates and automatically add any new messages to your existing dataset. When importing you have the option to select your preferred collection period. Please note each import source varies in terms of its collection period. YouTube, Text file, CSV file – one time upload, no option available for collection period. The data will be collected for the selected time period, after which the collector can either be renewed for another collection period or a new dataset with the same query can be created. The later option makes it easier to compare data. With the share function, if you so choose, you can allow other Netlytic users to view and work with your dataset in their account. From the “My DataSets” tab, click on the “Share” button associated with a given dataset. From there, you can share your dataset with a registered user by adding their email address. (See Figure 13). Please note: you are sharing the dataset with the email an individual used to register with Netlytic, you are not sharing datasets from Netlytic to an email inbox. From the “My DataSets” tab, click on the “Export” button to export the datasets created through Netlytic in formats accessible by other popular network analysis software such as Pajek and UCINET. Datasets can also be exported to CSV format from the “My DataSets” tab by selecting the “Export” button beside select datasets. Netlytic offers a three tiered account system. Tier 1 and 2 are great for smaller projects and exploring Netlytic features and are provided free of charge. To upgrade from a Tier 1 to a Tier 2, please click the “Get More” button (See Figure 3). If you are working on a larger project that involves extensive data collection Netlytic offers a community-supported Tier 3, with special discounts for educators and students. Figure 4 outlines the differences between account types and storage capacity. By clicking on the name of any of the datasets located on the dataset home screen, you will be able to walk through various analysis steps. 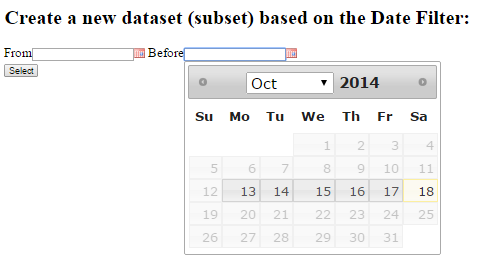 The first step is to view your dataset in the preview screen (Figure 5). This area is helpful to view the first 1000 records in the dataset to ensure the data collected matches your project topic. If the query has not pulled in relevant material, you can always edit the import and recollect. Figure 12, Report, share, and embed options. Chung Joo Chung, Anatoliy Gruzd, and Han Woo Park, “Developing an e-Research Tool for Humanities and Social Sciences: Korean Interent Network Miner on Blogosphere,” Journal of Humanities 60, no.12 (2010): 429-446. Jennifer Grek Martin, “Two Roads to Middle-earth Converge: Observing Text-based and Film-based Mental Images from TheOneRing.net Online Fan Community.” (master’s thesis, Dalhousie University, 2011).http://dalspace.library.dal.ca/handle/10222/14242.